In the United States Tangible Personal Property Tax is a local tax on non-real property held by businesses. It is one of the most difficult taxes to account for and process because each locality uses a different form and a different calculation. The tax can be assessed at the state, county, or city level and in some cases, at all three levels with three different forms. The small firm I worked for had to process 12 different jurisdictions for 6 locations. The number of tax returns can increase exponentially with each company location. 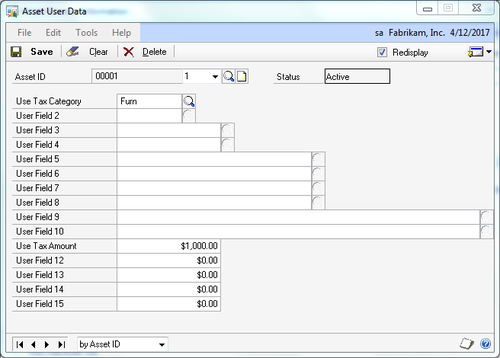 Dynamics GP at least provides an option to track tangible personal property locations and costs as part of Fixed Assets, but the window is not well labeled. Consequently, most users don't know that this option exists. This recipe looks at the tangible personal property tax functions in Dynamics GP and how to use them to make the tax filing process more efficient. 1. 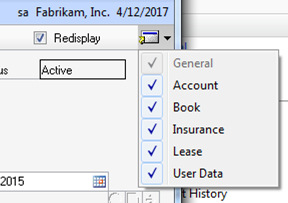 Select Financial from the Navigation Pane and click on Location under Setup. 2. The Location Setup window will open. Though it's not marked this way the Location Setup window is designed to hold the key location pieces for tangible personal property tax, state, county, and city. 3. For our example, enter SANDY SPRINGS as the Location ID. 4. In the State section enter GA as the State Abbreviation, GA as the State Code, and Georgia as the State Description. 5. In the County section enter FUL as the County Code and Fulton as the County Description. 7. Click on Save to save the location. This step should be repeated to correspond to each of the firm's locations. 1. 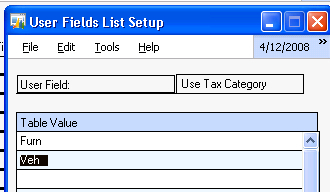 Select Financial from the Navigation Pane and then select General under the Fixed Assets header in the Cards section. 7. Now all of the based information needed for Tangible Personal Property Tax reporting can be accessed via a Fixed Asset SmartList. 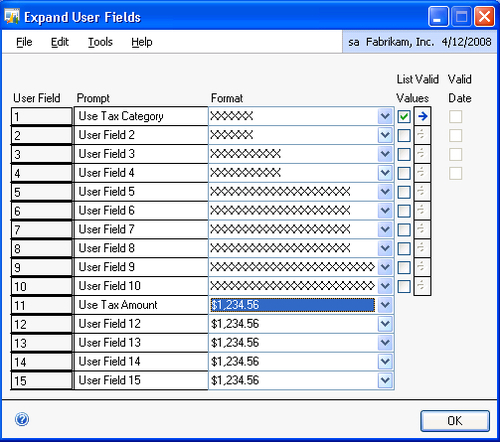 The value of user defined fields for Tangible Personal Property Tax is such that they allow category reporting separate from other categories used for financial or federal tax reporting. As tangible personal property tax amounts are jurisdiction-specific and can be based on actual cost, a declining percentage of cost, or another value assigned by the organization, the use of a user defined value field separates this tax value from actual costs and provides a specific tax basis value.